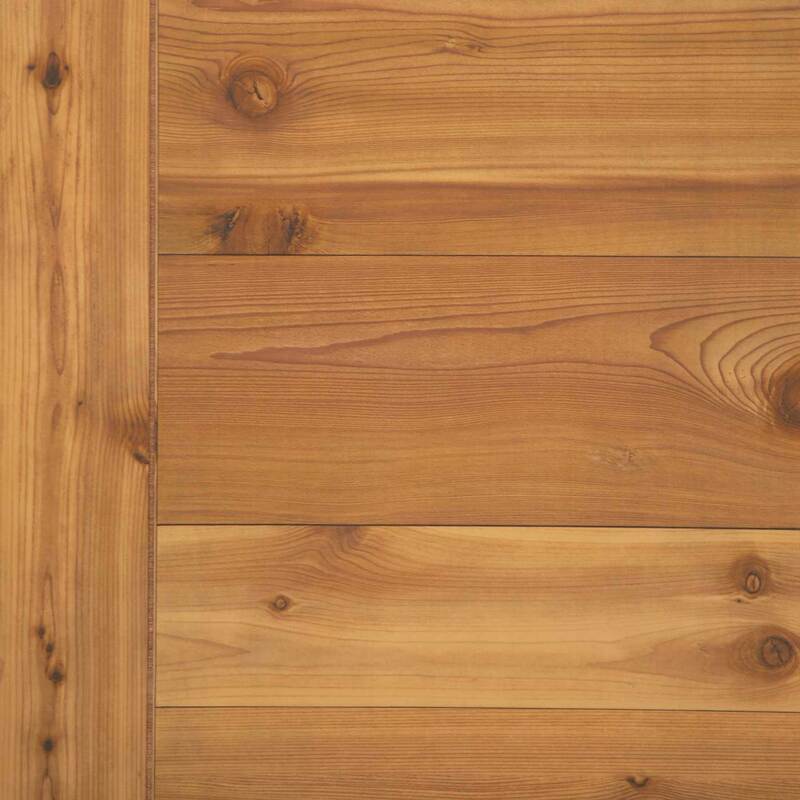 Click the button below to add the 1/4" Western Red Cedar Rustic Plywood Paneling to your wish list. This rustic laminate wood paneling, in a style modeled after the classic Western homesteads of the past and high mountain lodges brings a sense of the outdoors to any space on any budget, and features the look of horizontal random planks. Each 4x8 panel also has one vertical 4" wide plank, giving the look of custom framing when each panel is installed side-by-side. 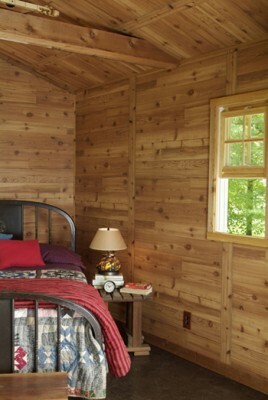 This is truly a casual warm wood paneling that lends space to any size room. Used in residential, commercial and industrial applications! Not real cedar. we decided to re-do my "Man Cave" with this paneling. It looks fantastic! This is the second time we have used this product, both times have been awesome. I had a vision in my head, and this product worked perfectly! Thank you. Order was timely and professional. However, the sample almost changed my mind. Fortnately, I ordered it anyway. Excellent product couldn't be happier with how it turned out! We used this in our whole house to create a summer cottage feel. Very affordable and easy to install. Light weight and yet durable. We love it! I ordered this product online, so was a little worried about the appearance until I saw it. It is beautiful and met or exceeded all my expectations when I saw it. I give the product only 4 stars because of the cut. 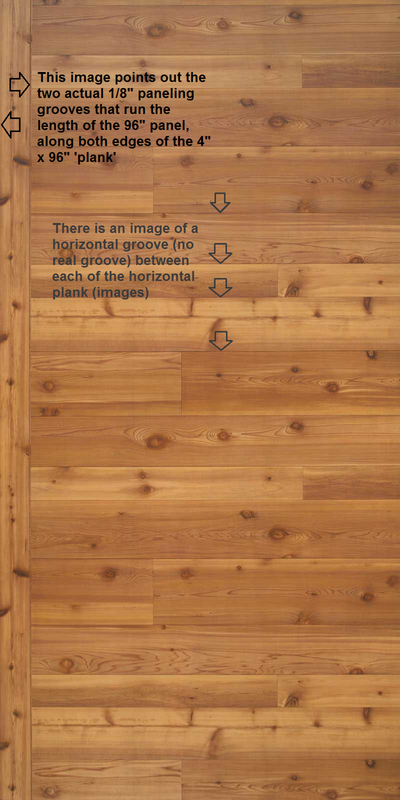 I am using the paneling on a ceiling and it is difficult for a seamless installation due to a factory cut on one end. The end that has the cross piece has a rounded edge and is approximately 1/8 of an inch shorter than the rest of the panel. Makes for extra measuring and cutting for a seamless appearance. This being said, I would like to emphasize that this is a unique and beautiful paneling if you don't mind the extra work.